The Thonet B 10 coffee table made of steel tubing and beech wood by Marcel Breuer is a long version of the B 9 nesting tables, which he designed in 1925/26. 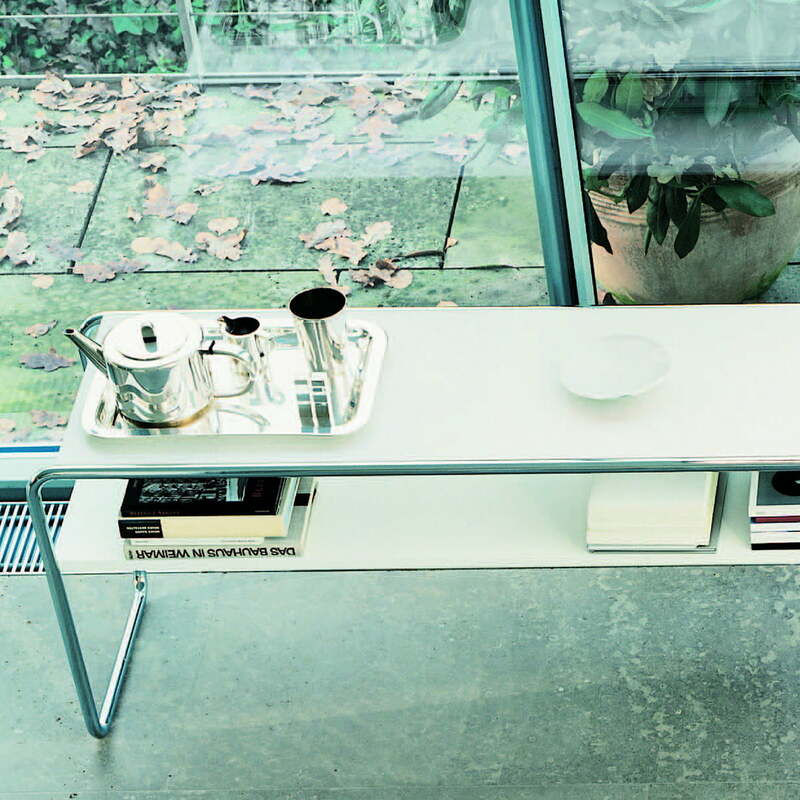 The steel tube tables are milestones for design history and paved the way for the iconic cantilever with their construction out of cold-bent steel pipes. 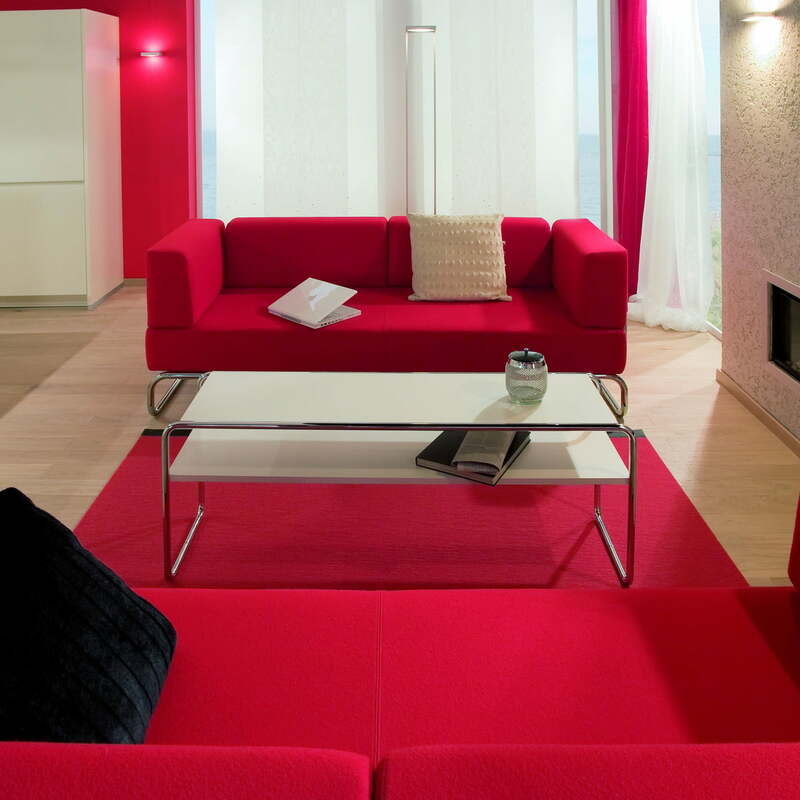 The coffee table consists of a frame made of chromed tubular steel and a tabletop made of lacquered MDF. For additional storage and surface space, the B 10/1 variant offers an additional shelf on which magazines and other items can be placed. 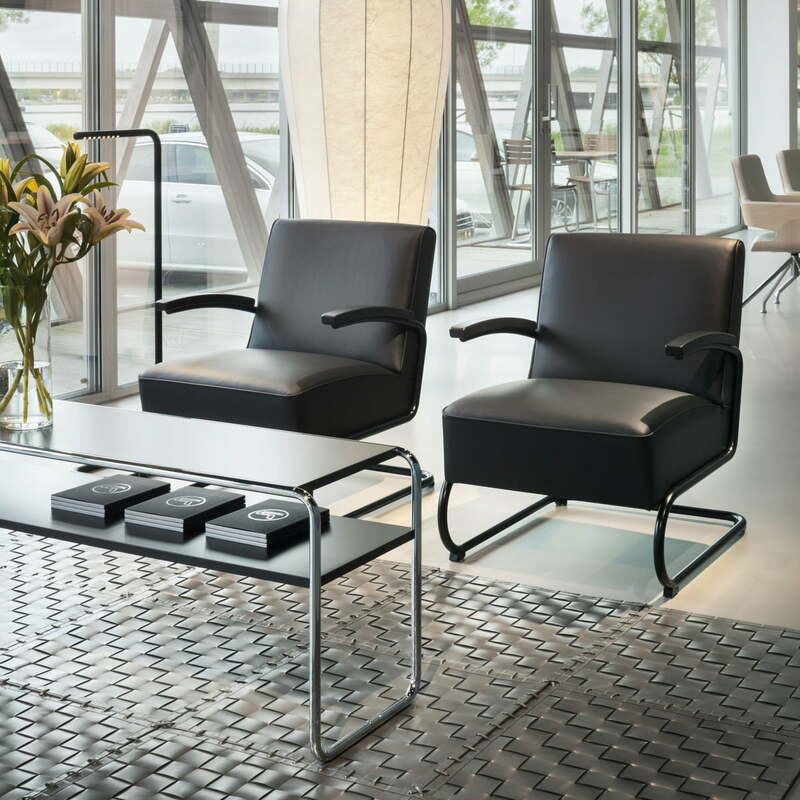 The B 10 Thonet table is ideal both as a coffee table at home as well as elegant storage possibility in hotels or lobbies. 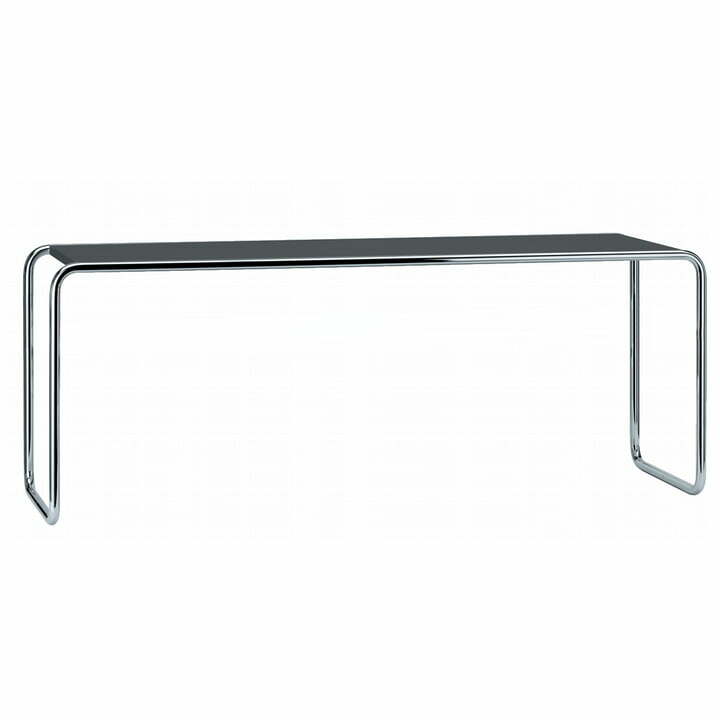 In addition to its frame made of chromium-plated steel tubing, the coffee table is made of a lacquered beech table top lacquered in jet black (RAL 9005). The table is a practical and timeless design piece in front of a sofa or an armchair and is also good to store objects next to the bed or in the hallway. Lifestyle product image of the B 10 coffee table by Thonet. For additional storage space, the B-10 coffee table is also available with an additional shelf. Formally, the Thonet B 10 couch table made of steel tubing and beech wood by Marcel Breuer is a long version of the B 9 nesting tables, which he designed in 1925/26.